Taxes....this often overlooked area can have a dramatic impact on your retirement. As the old saying goes, "It's not how much you make, but how much you keep!" Taxes can take a huge bite out of your investment returns. With so much of people's retirement savings in tax-deferred plans like Traditional IRAs, 401(k)s, 403(b)s, and others, having a plan for minimizing the taxes on these accounts is crucial for today's retiree. Next to market volatility, there's likely not a single bigger drain on your wealth than the taxes that can be incurred on these accounts either during your lifetime or at your passing. When should I start taking Social Security? How will my taxes change after I retire? Is a Roth conversion right for me? Do I have to take all of the money out of my IRA when I turn 70? Do I have to pay tax when I give money away to my children and grandchildren? Contact us today at 480-503-0050 or teresa@teresabear.com for a consultation and portfolio review with Teresa Bear, Certified Financial Planner™, Certified Public Accountant. 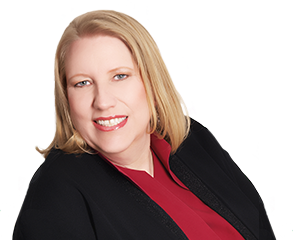 Teresa Bear, CFPTM, CPA, is an advisor and local investment columnist in the Phoenix Metro Area. Independently acclaimed for her work in Arizona, Teresa also received national recognition as Best Selling Amazon Author of the book “She Retired Happily Ever After”. Investment advisory services offered through Brookstone Capital Management, LLC (BCM), a registered investment advisor. BCM and Teresa Bear LLC are independent of each other. Insurance products and services are not offered through BCM but are offered and sold through individually licensed and appointed agents. *Guarantees provided by insurance products are backed by the claims paying ability of the issuing carrier and may be subject to restrictions, limitations or early withdrawal fees. Annuities are not FDIC insured. This website is limited to the dissemination of general information pertaining to its investment advisory, tax and insurance services. Accordingly, the publication of this website should not be construed by any consumer and/or prospective client as providing accounting, legal, insurance, investment, or other professional services for compensation, over the Internet. You must seek competent, professional representation for your personal situation.